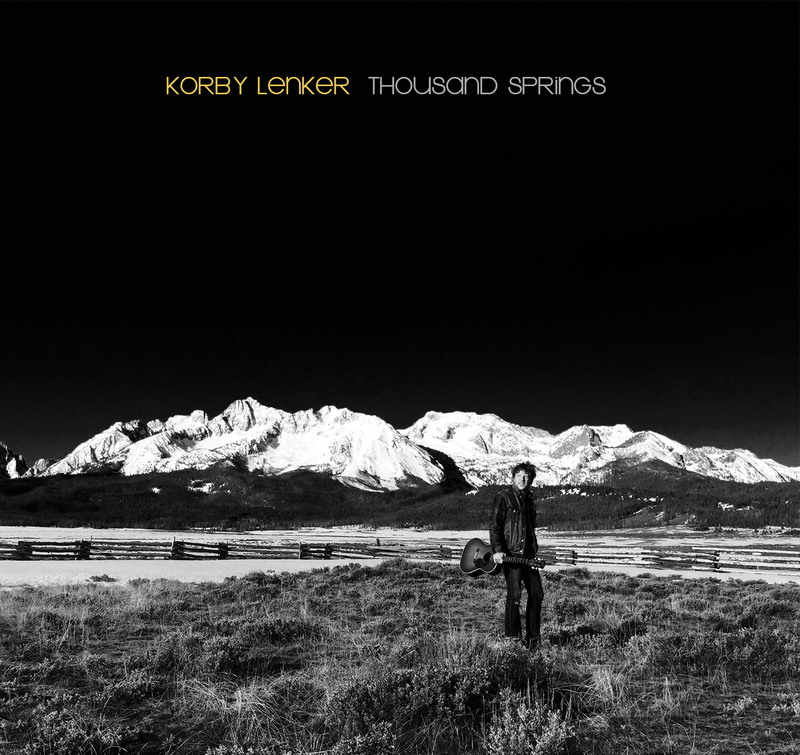 While the music always comes first, it is difficult not to take more than a passing interest in the artists who have contributed in some part to the latest album from Korby Lenker. Many of the featured artists are known in the UK for their work and likely form a close-knit network in the confines of East Nashville where they are frequently based. THOUSAND SPRINGS may have surfaced in the States a while back, but it is getting a renewal this side of the pond in conjunction with a set of upcoming tour dates. This is the seventh album from an artist best described as a mellow lo-fi folk singer bestowed with the troubadour trait of filling the world with oodles of thoughtful words. Find your space, block out the outside world, and the whispering tones of Korby Lenker will refresh your faith in the far away song. The album broke the rules of a studio origin and arose from an impromptu wanderlust to roam the land filing inspiration from any put down point. Obviously, background knowledge informs this, but add it to the listening mix and you sink deeper into the spirit of the album. The eventual production adds a fuller element that edges it away from just a raw acoustic record. Each of the twelve tracks create a little ripple with perhaps two spreading a greater distance. ‘Book Nerd’ is a buoyant ditty acting as the record’s marker post and weaving some iconic names into an amusing piece. Authorship is another bow to Lenker’s creative arm and the literature theme shines a light on the song’s curious character. The tune possesses shades of Slaid Cleaves’ ‘Hard to Believe’, another great piece, so the association is a high compliment. Pushing this track close is album opener ‘Northern Lights’ sending you on a starry trip to Chicago in an ethereal haze. Pretty quickly, the sound begins to evolve with fiddle and mandolin taking hold by the time we get to the third track ‘Nothing Really Matters’, which presents itself as a roots infused effort. The pacier ‘Last Man Standing’, a historical piece detailing ‘the leader of the one Sioux nation’, injects a fierier sound into the proceedings, although it does not alter the holistic feel of the album. Caroline Spence’s vocals on ‘Uh Oh’ commence the name-check, which eventually extends to familiar artists in Molly Tuttle, Amy Speace and Robbie Hecht getting co-write credits. Chris ‘Critter’ Eldridge (Punch Brothers) and Anthony DaCosta are two of the players to visit our shores in various guises, while Angel Snow, Anna Tivel and Carrie Elkin add their vocals to different songs across the record. ‘Father to the Man’ is probably the track that anchors the second half of the record and is yet another example of a catchy melody rising from a wealth of inspired lyrics. Maybe in an act that brings Lenker back to his existential core, ‘Wherever You Are’ closes things out as a gorgeous single take solo effort. Almost implying, thanks to all those giving a helping hand, but now it is time to go back to solitary folk singer status. As always seeking inspiration from within their own bubble. THOUSAND SPRINGS succeeds in balancing the tender and delicate with the watchful and witty. 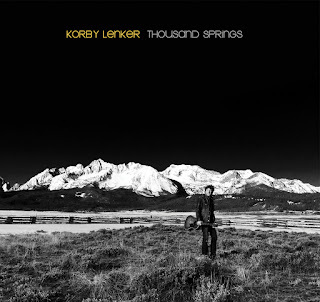 It has the legs to give Korby Lenker momentum in taking this strand of his art forward. This allows listeners to explore its many crevices, while not losing sight that engaging hook lines play a major part in securing attention. Learning more about this record via the live shows is likely to be the perfect addendum, but not wholly essential to enjoying the album as it is more than capable of hoisting itself into listening spheres.